Turnkey Mobile Engagement Marketing ~ more customers, more often, spending more money, and referring their friends. The Guerrilla Mobile platform delivers a branded, mobile engagement marketing app for retailers. It is a turnkey, self-service solution that automates word-of-mouth marketing & induces consumers to be brand advocates by making brand sharing fun & rewarding. We enable our customers to push-market relevant offers to consumers, by connecting every app w/ our cross-promotions platform & by mining gathered data to model local consumer behaviors. • Serves Blue Tree Allied Angels as a technical advisor. • Worked for 10 years as a researcher & software engineer at Carnegie Mellon University, where he led the technological development of several innovative educational products now being employed at institutions across the globe. • 12 years direct sales & marketing experience. • Successfully started 2 previous businesses: one in the seminar & event marketing space, the other in executive coaching. • PMP Certified Senior Management professional with over 12 years of progressive experience, significant system integration experience in financial and investment markets, and other vertical industries. Malcolm Handlesman is the managing director of Do It Right LLC and Chapter President of the Pittsburgh Keiretsu Chapter. He has joined Guerrilla Mobile as a key advisor and CFO. In addition to his role as CFO, Malcolm provides his significant experience and insight to all aspects of Guerrilla mobile. David Kalson began working with Guerrilla Mobile as corporate counsel and legal advisor and joined Guerrilla Mobile as an Advisory Board member in late 2012. In addition to his insightful legal guidance, David provides Guerrilla Mobile with the benefit of his many years of experience in advising seed stage ventures and preparing them for exit. 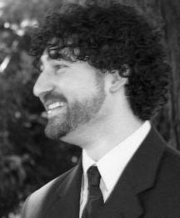 David J. Kalson, Cohen & Grisgby, P.C.